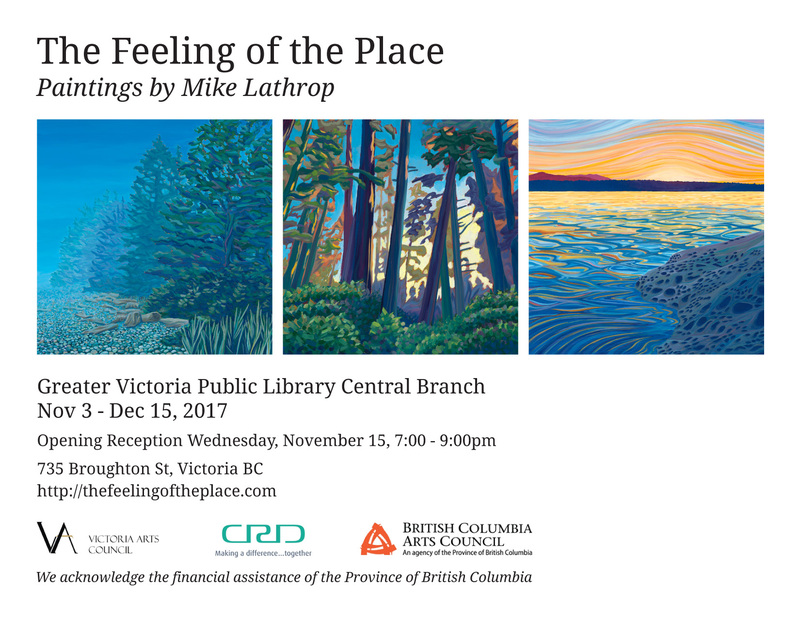 Wednesday, November 15, 7:00 – 9:00pm at the Greater Victoria Public Library Central Branch at 735 Broughton Street. Come and enjoy a casual opening for a casual show of paintings. Light refreshements will be provided. Can’t make it to the opening? Come see the paintings another time! The show runs from November 3rd until December 15th, 2017.